The Amish Rivertowne Deluxe 48" Desk combines work space and storage for files in one deluxe desk design. 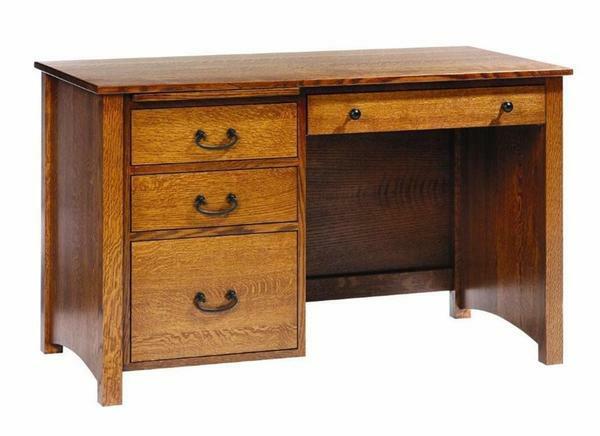 Handcrafted in Ohio by skilled Amish artisans, this solid wood desk is built to be strong, durable, functional and beautiful. The Rivertowne is a small and mighty desk that's fully equipped to complement your office decor while it works hard for you.